The elections are right around the corner in April. Which two candidates do you plan on voting for? Do you know enough about the candidates' positions on the issues? Joe Gillis beat out incumbent Ron Adams in the Around the Common poll question "Town Clerk Election: Who Will You Vote For?" The organizers of Bridgewater Buzz, Stacy Holyoke and Laurie Norman, and former CBB chair Keith Buohl are organizing a debate for the candidates running for Selectman. This debate will be held on April 6th from 7 - 9 p.m. at the BTV studio. The debate will be shown numerous times between now and election day so if you miss it on the 6th there will be other opportunities to watch it. All candidates have been invited and we are currently awaiting responses. Dr. Jason Edwards, Assistant Professor of Communcation Studies at Bridgewater State College, has agreed to moderate the evening, but we need questions from you, the concerned and engaged citizens of Bridgewater. Please forward your questions to betterbridgewater@gmail.com by Friday, April 4th. As many questions as possible will be asked during the debate. However, if your question does not get asked, and if you agree to provide your contact information, we will forward your question to the candidates on the night of the debate. Two candidates for this April's election for the Board of Selectmen have released campaign websites. Please click each link below to read more. The Bridgewater 4th of July Committee is having a Pancake Breakfast on April 26, 2009 8-10 AM at Applebee's in Raynham. Money raised will be used for our Bridgewater 4th of July celebration !! Tickets can be purchased by emailing BuzzCurl@comcast.net. They are $5.00 a piece. Please help keep the 4th of July celebration in Bridgewater !! The Bridgewater Academy Lions are hosting an Antiques, Crafts and Flea Market. The event will be held on Saturday from 9 a.m. to 2 p.m. at the M.G. Williams School located at 200 South Street. Admission to the event is $1. We take fresh, premium quality, hormone free, boneless, skinless chicken breasts, pork tenderloin, beef tenderloin and wild salmon then prepare a variety of healthy, delicious dinner entrees for you to enjoy. Select 6 or more ready-to-cook entrees from a variety of mouthwatering dishes offered on our monthly menus. All entrees are freezable and personally delivered to your door. Each entree comes with detailed cooking instructions so that you can relax and enjoy a stress-free, home cooked dinner. Order monthly so that you can have plenty on hand and never worry about what to serve for dinner again. You will also love the generous portions and great prices (around $5 per serving). Become a member and receive regular volume discounts! Buy 3 entrees for only $40. That is a 16% savings. Delivery charges not included. Code:#ATC043009. Offer expires 04/30/09. Offers and promotions cannot be combined. For more information about Peter & Paula's Kitchen please click here or call 508.245.1257 to place an order! This year's municipal election cycle will feature an election race for the office of Town Clerk. Incumbent Town Clerk Ron Adams will face off against School Committeeman Joe Gillis. This race will be a hotly contested race squaring off two well known Bridgewater politicians for the office of Town Clerk. This week's poll question is "Town Clerk Election: Who Will You Vote For?" On Monday, April 6, 2009 at 7:15 p.m., in the meeting room of the Academy Building, the Bridgewater Planning Board will conduct a public hearing on a proposed zoning article to appear on the warrant for the Annual Town Meeting. The article seeks to accept the provisions of chapter 43D of the MA General Laws as amended pursuant to Section 11 of chapter 205 of the acts of 2006, and to approve the filing of a formal proposal with the Interagency Permitting Board for the designation as an overlay of land beginning at a point on the southerly sideline of Pleasant Street at the Bridgewater and Raynham Town Line, commonly known as the land of Claremont. The complete text and map relative to the proposed amendment is available for inspection during regular business hours at the Offices of the Town Clerk and Planning Board. On March 28th Bridgewater Art & Custom Framing will host a SNAC (Southern New England Artists Community) exhibition from 6PM to 8PM. The event will feature food, wine and great conversation and will take place at Bridgewater Art & Custom Framing located in 233 Broad Street in Bridgewater. Sunday, March 22 at 1 p.m.
Refreshments served following show and admission to the event is free. All ages and faiths are most welcome. Christin Jezak, an alumna of Bridgewater State College and Villanova, wrote and stars in this one woman show that teaches with drama and humor. Through her characters, the audience learns to see the dignity of all people through the teachings of Mother Teresa. Christin performed this show in Australia in 2008 for World Youth Day and performs all around the east coast as a ministry. Her brother Nate Jezak, a current BSC student, created the music and does sound for the show. Joyful Learning Preschool will hold an Open House on Saturday, March 21st from 10 a.m. to Noon at 792 Plymouth Street. Joyful Learning has preschool and pre-kindergarten classes, two-, three- and five day programs, morning and afternoon classes. For more information and also to register for the 2009-2010 school year call 508-697-9131 or visit www.joyfullearning.org. Bridgewater Art & Custom Framing will host the Bridgewater State College Advanced Photography Exhibition on March 27th from 6 p.m. to 8 p.m. The address for the event is 232 Broad Street in Bridgewater. A silent vigil will be held on Thursday, March 19th from 6 p.m. to 7 p.m. on Bridgewater Common. The vigil is to mark the sixth anniversary of the invasion and occupation of Iraq. The vigil is sponsored by Citizens for an Informed Community. The Office of Career Services at Bridgewater State College will hold an informational session entitled "Gearing up for the job market" which will be geared toward teacher candidates. It will be held on Wednesday, March 18th from 4 p.m. to 7 p.m. in the Rondileau Campus Center Ballroom. Registration is requested by calling 508-531-1328. The Committee to Re-elect Ron Adams for Town Clerk is holding an Open House at Barrett's Alehouse on Sunday, March 15, 2009 at 5 p.m. Hors d'oeuvres will be served. The Bridgewater Gladiators will be playing their home games at Bridgewater-Raynham High School on Saturday nights from July through October. 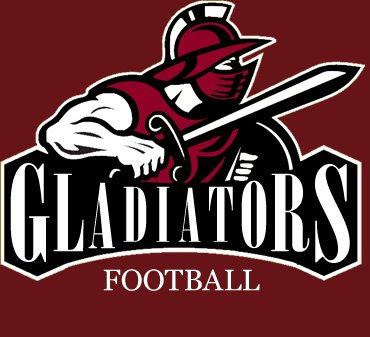 The Gladiators will actively nurture youth athletic programs through clinics and recreational events and in general will work to develop and encourage a sense of community in Bridgewater. There will be a silent auction fundraiser at the Bridgewater Vets Club on Saturday, March 14th from 7 p.m. to 11 p.m. The auction benefits Homes For Our Troops. Tickets to the event are $20 and can be purchased in advance by calling 508-951-6986. A music and arts festival will be held at Bridgewater Raynham Regional High School on Saturday from 10 a.m. to 2 p.m. There will be a PRISM concert, combos, soloists and others will perform in the auditorium. The event is free and supported by the BR Music Boosters. There will be two book discussions at the Bridgewater Public Library tomorrow, March 10th. The first discussion will take place at noon and the second will be at 6:00 PM. The book that will be discussed is Silent Spring by Rachel Carson. The Friends of the Bridgewater Public Library will sponsor a "Coffee Tasting and Talk" on Saturday, March 7, from 10:30 a.m. to nooon. Dr. James Hayes-Bohanon, a faculty member at Bridgewater State College, will be sharing his extensive knowledge about organic, fair traded coffee. Free coffee will be available. In conjunction the presentation, the Friends of the Library will be selling coffees and cocoa with a Bridgewater Public Library label. Medium roast will be available at $9 per pound and dark roast at $10 per pound. Organic hot cocoa mix will be available at $6 per 12-ounce package. The event will be held in the lower level of the library.